LEXINGTON, Ky. (Feb. 25, 2016) – Cha Winja warhamas! It isn’t surprising that only a very few people – so far, at least -- recognize “Wenja” as a language. Even fewer can speak Wenja. But after a teaching session next week, the University of Kentucky campus could harbor the single largest concentration of Wenja speakers in the world. Two UK assistant professors of linguistics – Andrew and Brenna Byrd -- are intimately familiar with Wenja. 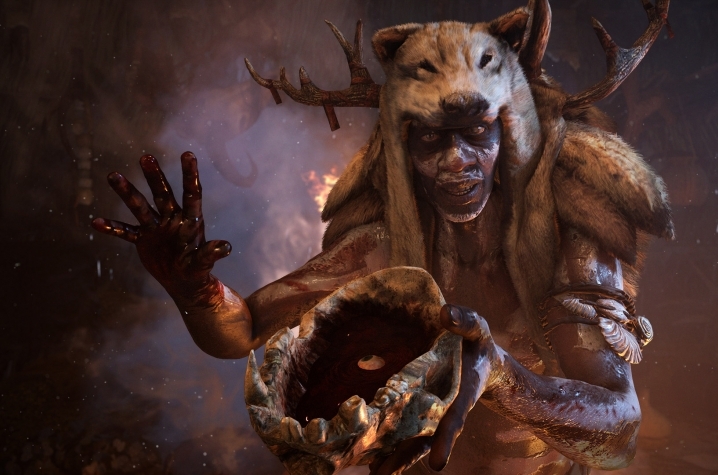 They imagined and brought to life Wenja and other prehistoric-sounding languages for the new video game “everybody” is talking about, Far Cry Primal© by Ubisoft, released earlier this week. 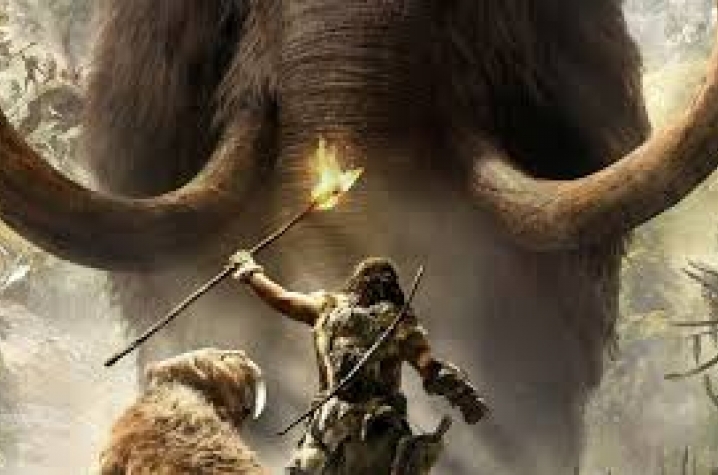 People are talking because Far Cry Primal is a rarity in the gaming world, focusing on survival violence, but with spears instead of guns and accommodating mammoths and saber tooth tigers instead of tanks and cars. Designing a realistic world, not just a game, was the goal of Far Cry Primal engineers. They wanted to create a world that could have conceivably existed in our dim past, 12,000 years ago to be exact. They consulted paleontologists, who helped the designers and artists fill their imaginary world with the plants and animals and humans that actually existed in 10,000 BCE. They populated their world with mammoths and saber tooth tigers – and three tribes of interacting prehistoric Homo sapiens. But to interact in any meaningful way, the humans had to communicate. Unless they wanted to be restricted to grunts, communication obviously required some sort of language, but everything the designers tried sounded trite or just plain wrong, either too much like modern man or too much like science fiction. That’s when they discovered UK linguist Andrew Byrd and his research into ancient languages, including his online reading of fables in Proto-Indo-European, a language that hasn’t been heard in thousands of years. Then, they discovered that Byrd’s wife Brenna was also a linguist, but one who focused more on teaching foreign languages. Ubisoft designers rejoiced. They had found what they needed, an expert to create an ancient-sounding language and a second expert to teach the Stone Age languages to the actors who would bring their Primal world to life. But Andrew and Brenna Byrd needed something even older, a language spoken when mammoth trumpeted in the background. “We had to ‘translate’ backwards in time. We needed to create a proto-PIE language, a language that may have been spoken about 7,000 years before PIE existed. Brenna and I used what we knew about PIE to imagine what an earlier version of that word may have been,” said Andrew Byrd. “The hardest, but probably most fun, part,” he said, “was coming up with appropriate war cries, celebratory chants, curse words. More often than not, it was the actors who created these phrases (‘Nuha!) or PIE itself (‘Hasa!’). The couple created two true – though imagined -- languages and a separate dialect with a lexicon of more than 12,000 words with established grammar, syntax and structure. Those words were used to write and perform a script of about 40,000 words. Then, it was Brenna’s job to teach that language to the Far Cry Primal actors. She immersed them in the language immediately, encouraging them to live the language, to breathe life into it again. And suddenly, it just was. Andrew pointed out two things that made this Far Cry Primal so important to even the academic world: one, it's the first time PIE has been used conversationally since it was spoken thousands of year ago and two, it's the first time a video game has been created with a constructed, prehistoric language. UK students can enjoy a taste of that same experience. 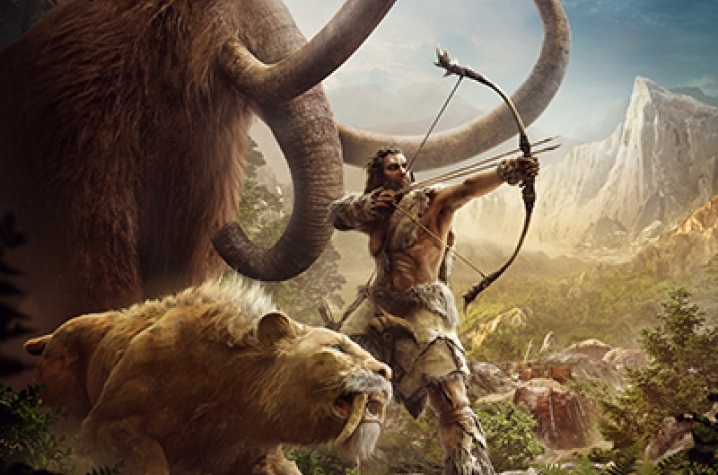 From 4 to 5:30 p.m. Wednesday, March 2, in White Hall Classroom Building, room 114, Andrew and Brenna Byrd will explain in more detail their incredible journey back in time with Far Cry Primal. Along with a few surprises here and there, there will be an abbreviated lesson in Wenja.